Are you ready to take your kids on an action-packed journey around the world in search of treasure? 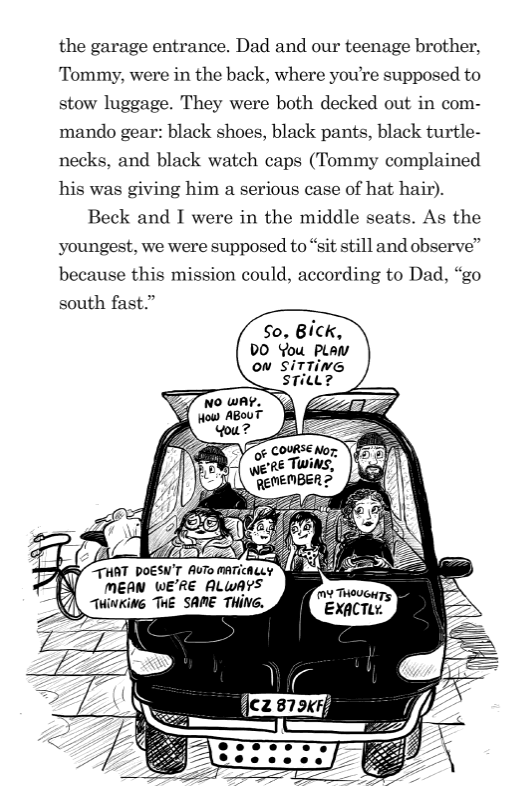 If so, you are in for a fun and thrilling ride in the new Treasure Hunters book by James Patterson and Chris Grabenstein. 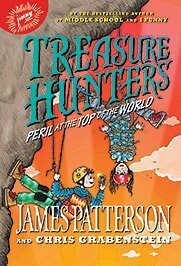 Treasure Hunters: Peril at the Top of the World follows the Kidd family on an action-packed chase to find missing treasures of the world, and with every page turn there is more excitement in store! After their adventures in China and Germany, the Kidd family is ready for some rest and relaxation. But when you’re an ace treasure hunting team, there’s always another adventure waiting around the corner! This time, the Kidds head to Russia where a set of priceless paintings by Leonardo da Vinci and Rembrandt has gone missing. Hot on the trail of the daring thieves, the Kidds race through the sinister streets of St Petersburg and the wild Arctic tundra to track down the stolen treasure. The action never stops with more chases, sneak attacks, spy missions, and doublecrossing than anyone can handle… except the Kidds! Preview the FREE exclusive chapters here! Peril at the Top of the World is the fourth installment in the Treasure Hunters series, and in this fun adventure tale, the Kidd family travels from Italy, to Russia, to the North Pole, but not without a little adventure first. This book is action-packed and draws you in right away with fun characters and a compelling story. Even if you haven’t read the other books in the series (which we hadn’t, but plan to) you will enjoy this story very much. The best part of this book for me is that they have to follow clues. I always love a book that makes me think, and my kids were right in there trying to figure each of the clues out. With the first clue, the guesses were pretty good but not exactly right, but as more clues were presented they actually got quite good at figuring out the puzzle! My daughter really liked the illustrations in the book, which were done comic book style, and added to the context of the story. My son enjoyed hearing about all the far off places — maybe he will want to go someday! As a family, we really enjoyed reading this together, check out our video review below and be sure to pick up your copy next time you need a good book! Buy Now – Pick up your copy today! I received compensation through MomSelect for this post, thoughts on Treasure Hunters: Peril at the Top of the World are my own. NextBack to School Poppin’ Pink Punch Parfait with Immune Support Boosters! The ONLY reusable hooks you will ever use again!